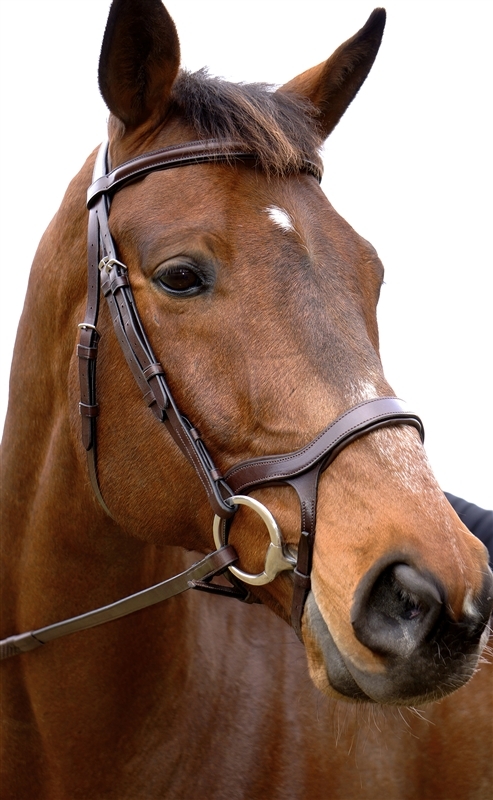 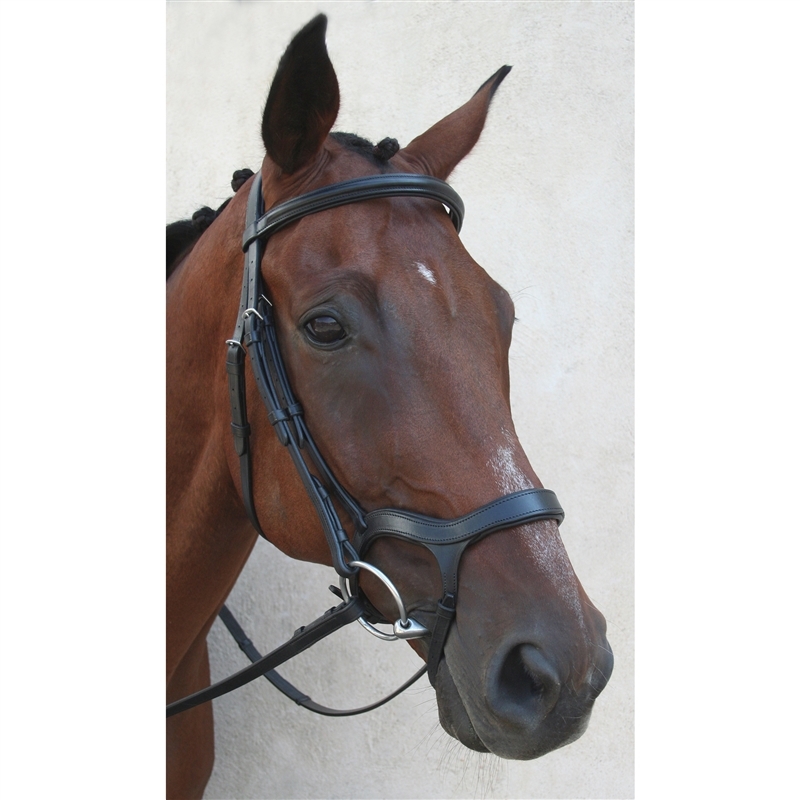 Anatomic English Bridle - Nunn Finer Innovativo Bridle - Italian Leather. 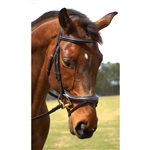 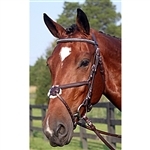 The new Nunn Finer Innovativo English Bridle has curved cavason cheeks that follow below the jaw line allowing for a more anatomically comfortable fit for you horse. 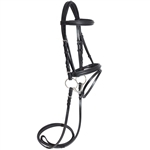 Beautiful Italian leather, stainless fittings, and something unheard of – your choice of either Rubber Lined, Rubber Reins or Soft Grip Reins. 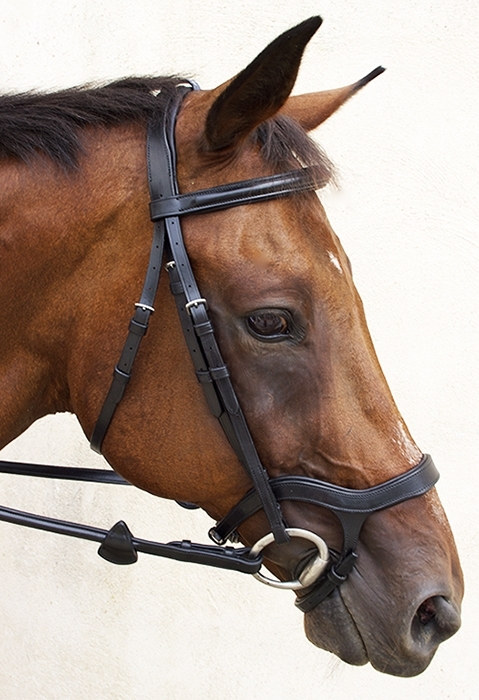 • Italian leather in black or havana.